The cookies from yesterday, when exposed to the munching stomachs of this office, have almost disappeared. 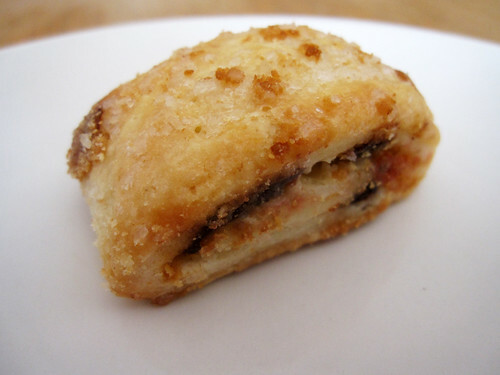 There is also good dent in the bag of rugelach. Nothing like sharing goodies with your office mates to get rid of leftovers.